I strongly recommend hiking this trail in mid-spring or mid-fall. I did not hike the entire length of the trail having arrived at the half way point from the Juniper Mesa 20. An E-Mail response from Prescott National Forest to my enquiring about the fire. 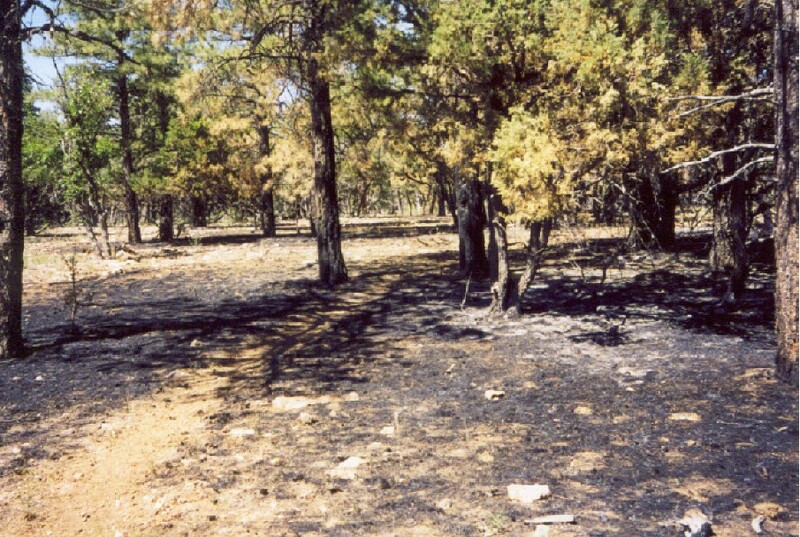 "The Juniper fire, being managed under a use fire, has significantly died down since the June 19th report. All the trails are opened in the Juniper wilderness. You may encounter some small duffers putting up smoke along the edges of the fire in the George Wood canyon. It is likely that this will continue until our monsoonal rains come later this month and then we will check the fire and decide if it is out or not. We do not feel that your personal health and safety is in danger due to minimal fire activity." My last journal entry, "I think I am on tr #3. Fire recently burned through here from a lightning strike June 6th. I had to back track. Found a burned trail sign. But I am sure this is trail #3. Water critical." After hooking my left to follow trail #3, I caught a whiff of wood smoke in the air and I knew I was nearing the burn area from a recent fire. Surprisingly, it was not bad. 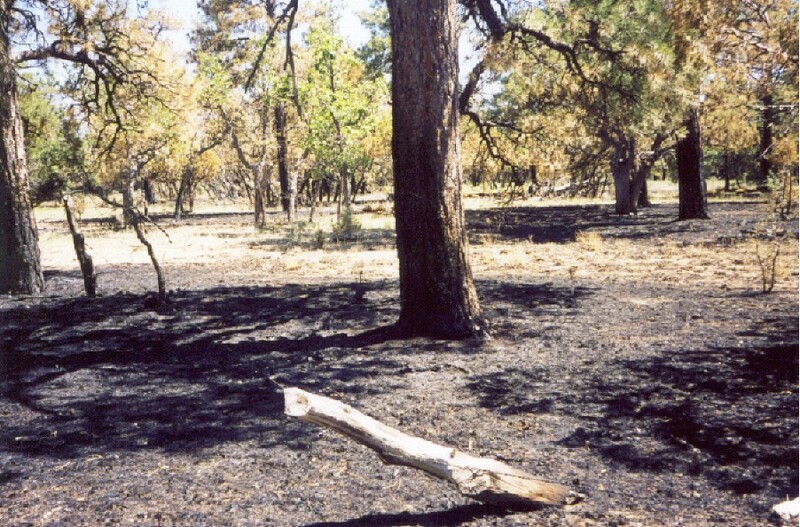 The burn was only in patches throughout the area. Yet I was paying attention to the trail because I knew it would fork left and I still missed it! When I realized that, I turned around and back track until I found Jim's footprints and come across a burned out gate and sign. Passing through I continued down the trail to George Wood Canyon and the start of my final leg of the journey. First, I took a long break to consider my overnight option. I had a liter and a half of water left at this point. Four hours of sunlight left, fourteen hours before I would resume my hike; at least another 10 miles. I knew I would drink most of the water during that course of time of inactivity. I could ration what I had remaining; however, I consider that option silly, it went against my grain. Below were ranch houses along county road 125, so I am sure I could fill up down there on my hike back. But this bothered me for some reason, something macho in my mind, I started on my own steam, I would finish on my own steam. I did not have a desire to conclude my hike with no water. I decided to go and finish my hike. Putting on my pack and cussing myself out for lack of planning the water right, I started down into George Wood Canyon. This portion of my hike is perhaps the most pleasant of the entire trip. Green and lush; the sight was pleasing to my wore out eyes. I was wishing the creek was running through the canyon, it would have been grand and I would have stopped and enjoy it, camping here for the evening. But alas it is bone dried. The stroll through the canyon was short and comes straight out into the open. Behind me Juniper Mesa watches my departure. Down here the trail is marked with cairns which is easy to follow. It was not long before I hit the Oaks and Willows trailhead and Yavapai County Road 125. The walk down to the road was quick, I wanted to make my jeep before dark. In closing, about a half of mile from my trailhead, I ran into Jim and his dog hiking down the road to get to his trailhead seven miles away. We chatted about our day and then I offered him a ride to his truck I passed a couple of hours before. He accepted without hesitating. Prescott FS Reports From the south trailhead this trail travels through the heavily wooded George Wood Canyon, that provides a gateway to the Juniper Mesa Wilderness. By connecting with other wilderness trails, the traveler has several options for exploring this remote part of northern Arizona. Maps, other resources: Prescott National Forest, west half; U.S.G.S. topographic 7.5' quads for Juniper Mountain and Indian Peak. 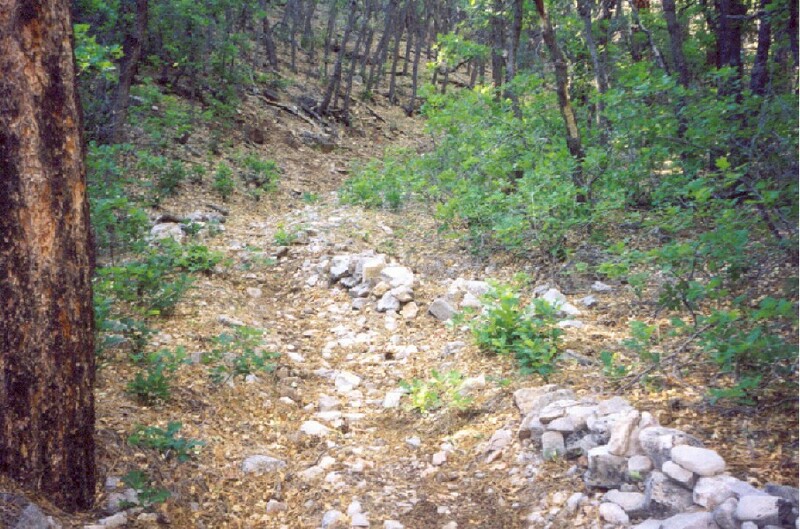 Trail layout: The trail works its way up from the north fork of Walnut Creek, offering a view of Aztec Pass, an important early pioneer route. 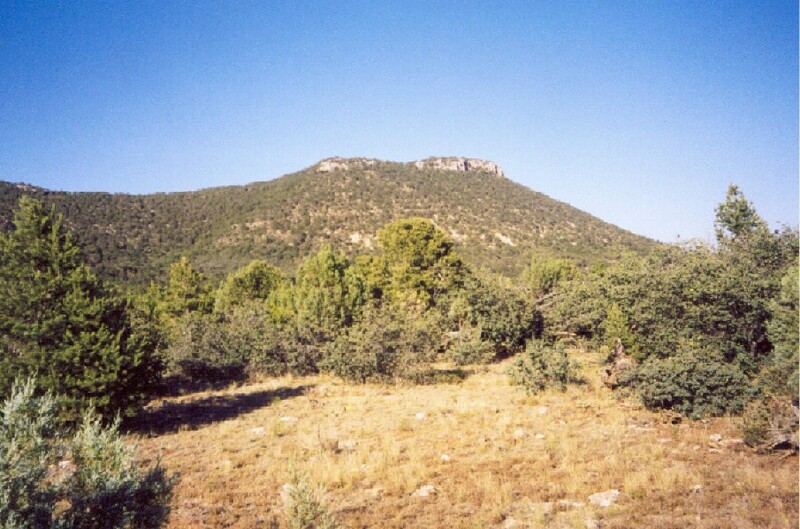 Heading for George Wood Canyon, the trail enters the Juniper Mesa Wilderness and climbs up the edge of Juniper Mesa to the mesa top. 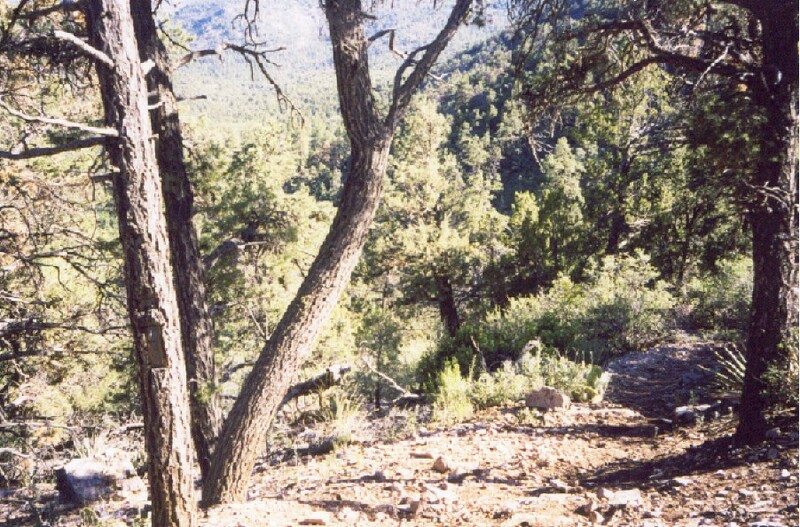 Continuing across the top, the trail intersects Trail #20, which runs east across the top of Juniper Mesa to Juniper Springs about 6.5 miles. From the intersection with Trail #20, Trail #3 runs down the Pine Creek drainage to FR 7. 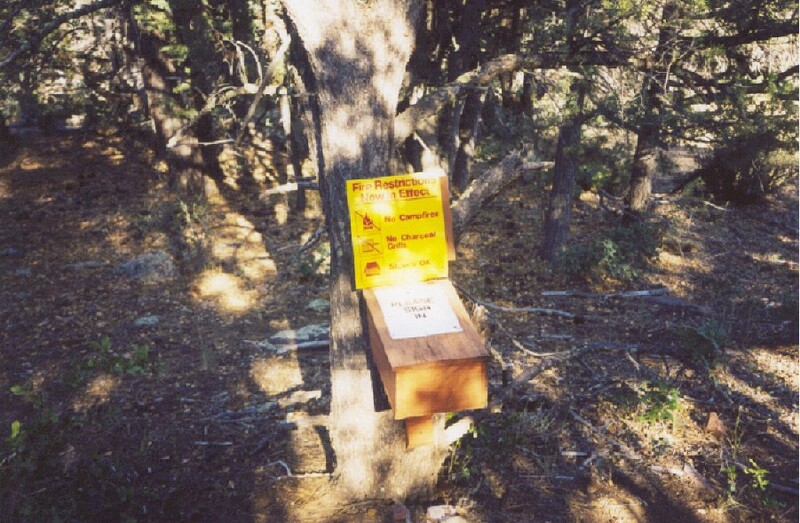 For the easiest hiking available in the Juniper Mesa Wilderness, follow directions given above to the east trailhead; then hike up the two-track trail past the wilderness boundary. This is Trail #3. 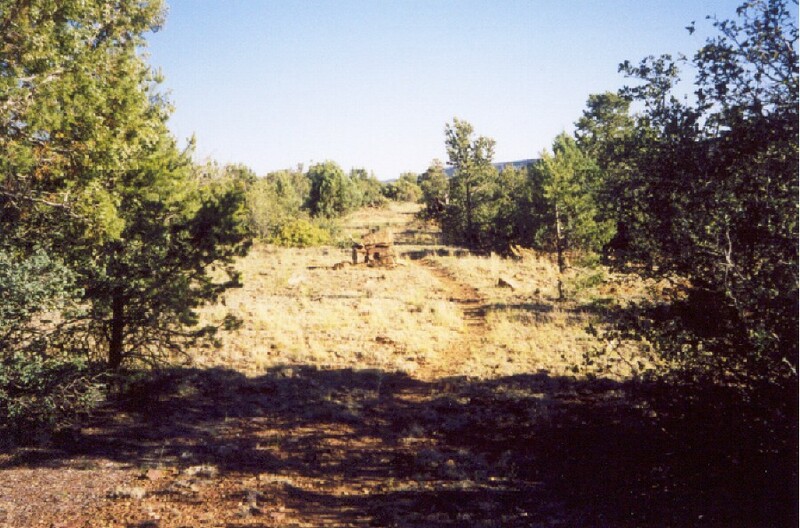 Access and trailhead location: Take the Williamson Valley Road north from Prescott. Stay on this road (FR 6) for 38 miles to the junction with FR 95. Turn west on FR 95 for about 1.5 miles to the Walnut Creek Station. From here travel west on FR 150 for about 6 miles to the trail. FR 150 dead-ends at a locked gate; at this point it is difficult to turn around. Instead of parking here, travel only as far as the "Locked Gate Ahead" sign, which is just 0.3 miles past the Trail #3 (Oaks and Willows) turn-off. Turn around here, and backtrack to the trailhead. 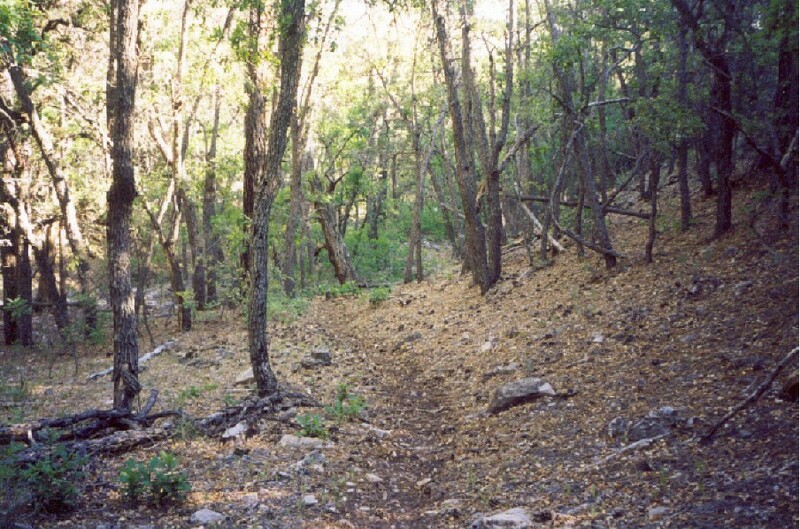 To reach the east trailhead, take FR 150 east from the Walnut Creek Station for 2 miles to FR 6. 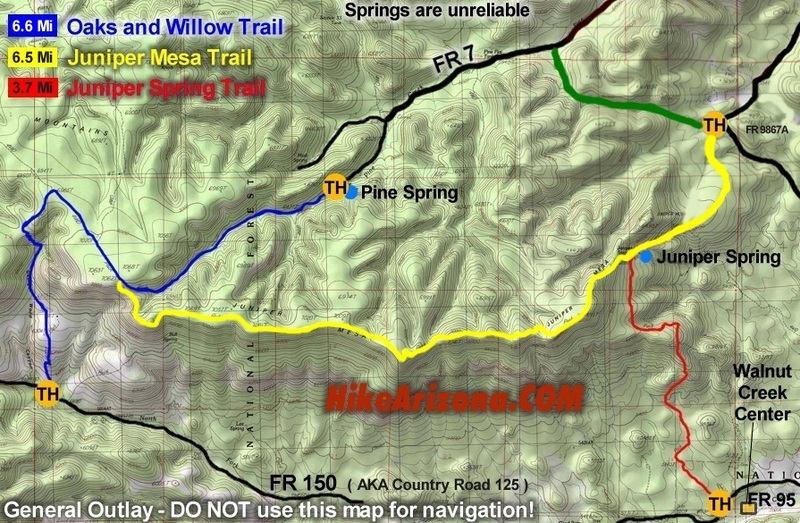 Take FR 6 north for 7 miles to FR 7; take FR 7 southwest for 6 miles to the Pine Springs trailhead at the end of the road. Arrived from Juniper Mesa 20. Or instead, take the directions to Juniper Springs, but continue down road 125 about 7 miles. The trailhead is on the right and unmarked. Lthornton 2011-09-26 from the South, drive out Williamson Valley Road. At milepost 35 you will pass a ranch on the right hand side. Right after the ranch you will pass over a creek bed on an old railroad trestle style bridge. Once you cross the bridge there will be a sign for a left turn onto Walnut Creek Road. 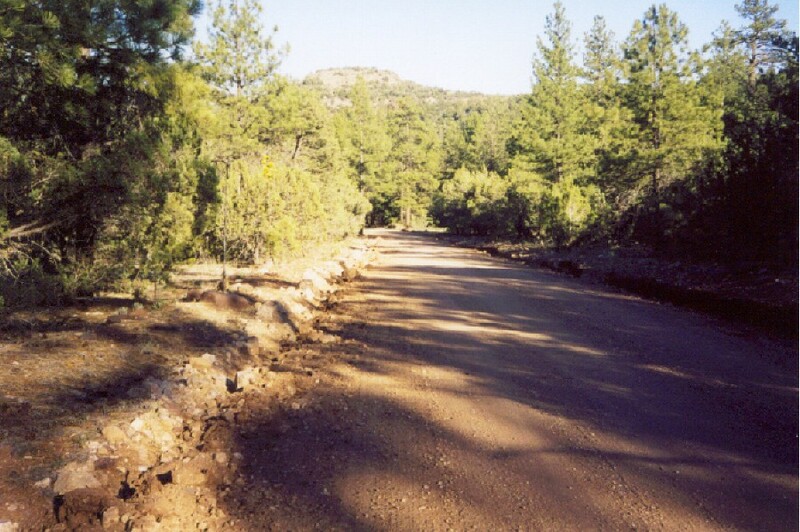 This is also known as Yavapai County Road #125. A little down the road you will pass the Walnut Creek Center, Keep going. Shortly after that you will see a sign saying Locked gate 7 Miles ahead. This is your destination! When you arrive at the trailhead there is a parking lot with pull-thru parking.